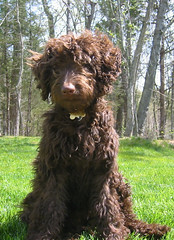 Meet Charlie, she is an F1B Labradoodle Puppy from a Labradoodle Breeder in South Carolina. Check out more Labradoodle Pictures at Doodle Pictures Blog. Also, you can find great pictures of Australian Labradoodle Puppies at our Australian Labradoodle Puppy Blog.